This Achla Eucalyptus Rocker is made of charming Eucalyptus grandis wood which is a sustainable harvested wood. All eucalyptus furniture is stained for exterior use and may vary slightly depending upon the natural grain of the wood. It is an interesting addition to your patio or veranda, create memories to last a lifetime in this beautiful rocker. 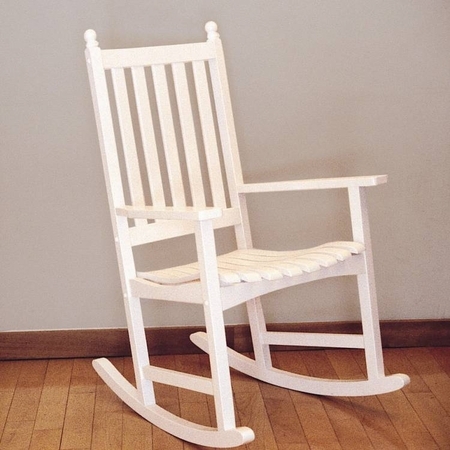 This rocker has white powdercoat finish.